Eric Armusik portrait paintings are vastly different than his contemporaries. His recognizable dramatic style and unique ability to impregnate passion, romance and emotion in his work, has quickly put him in demand for the discerning collector worldwide. Any qualified artist can paint a portrait to represent your loved one, but why not capture their personality and essence as well? Why just paint a figure? This is what separates Mr. Armusik from his peers, his ability to paint life in the portrait and encapsulate a moment forever. There is nothing lifeless or stagnant about an Armusik portrait painting; they breathe, they respond to your gaze, and they live forever in a moment. What a beautiful and timeless gift-a gift of immortality. Unlike a photograph, a portrait is a keepsake, an heirloom, and a treasure to be passed down for generations. *More importantly your investment in this commissioned artwork will continue to appreciate in value. See some of Eric's portraiture. Mr. Armusik has satisfied the request's of countless clients looking to fulfill special needs. Each situation is treated with empathy and professionalism. It is because of his understanding and respect for his clients and their circumstances, that Mr. Armusik has gained a loyal and enthusiastic clientele. 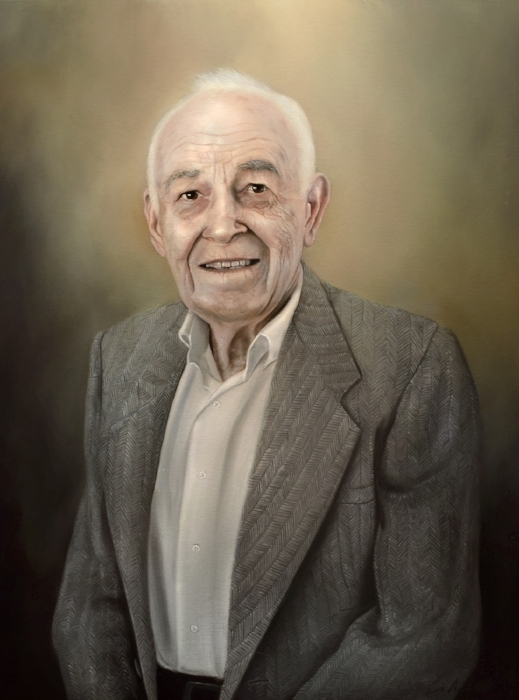 Memorial portraits of historical figures and family members are Eric's specialty. Each project is treated with the utmost care to recreate those lasting moments you and your family will cherish for all time. Need a custom frame built for your painting click here. * Sizes above are average sizes for typical portrait commissions. Email the artist if you have a specific size or shape in mind. * Shipping for domestic and international clients is an additional expense. Commissioning a charcoal portrait is a great way to get an heirloom product from Eric at a more affordable price. Eric's charcoal portraits are sought after by families looking for drawings of their children, people looking to have memorials drawn for their family pets and even other historical and religious subjects. ***All portraits are "per head" - meaning per person or animal. Three 16 x 20" charcoal portraits, framed and hung. All prices are for unframed portraits. Charcoal portraits can be framed as well. For more information contact the artist to discuss your options and he can frame it to your specifications. Payment can be made via all major credit cards, Paypal and via check or money order. No work will be shipped until personal checks and money orders are cleared for the portrait painting. The project will begin with the client emailing the artist with a rough idea of the project, the subject matter and a timeline. Please keep in mind the artist is usually booked up six months in advance though special arrangements can be made at anytime to have a portrait request specially made. The artist will then have a phone consultation with the client and a high-resolution digital photograph (300 dpi - print quality) or physical photographs will be requested from the client. After receiving the photo reference the artist will approve or provide the client with a sketch if necessary. Upon approval by the client, the artist will email or send a contract to the client. A signed contract and full payment must be made at the start of the project. Group portraits - the first figure is full price, each additional figure is 1/3 less than full price. Travel expenses and the cost of crating and shipping are not included in the contract, and are the responsibility of the client. 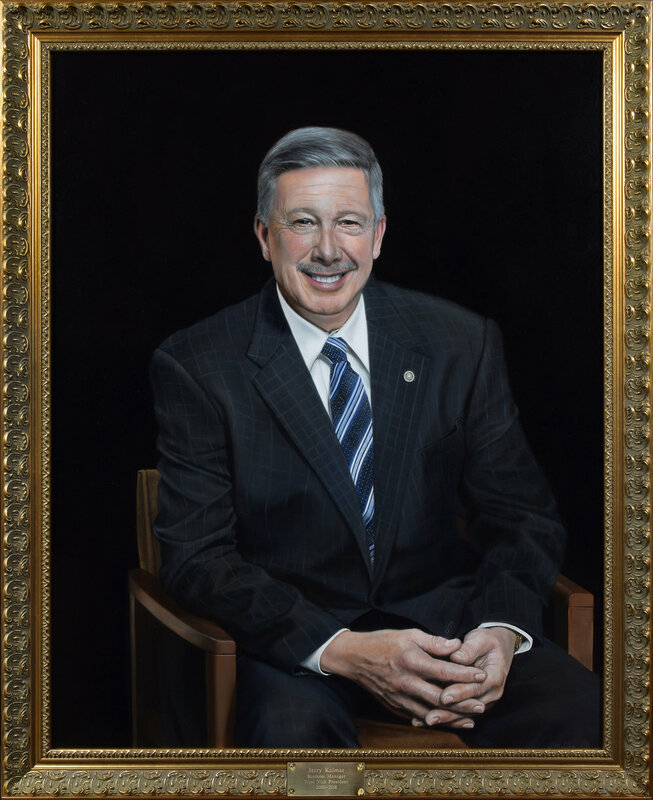 All arrangements falling under this category will be discussed before the portrait if it is an issue and will be included in the contract before initiating the portrait. Framing is also the responsibility of the client. If the client needs a reference for a framer one can be provided by request.